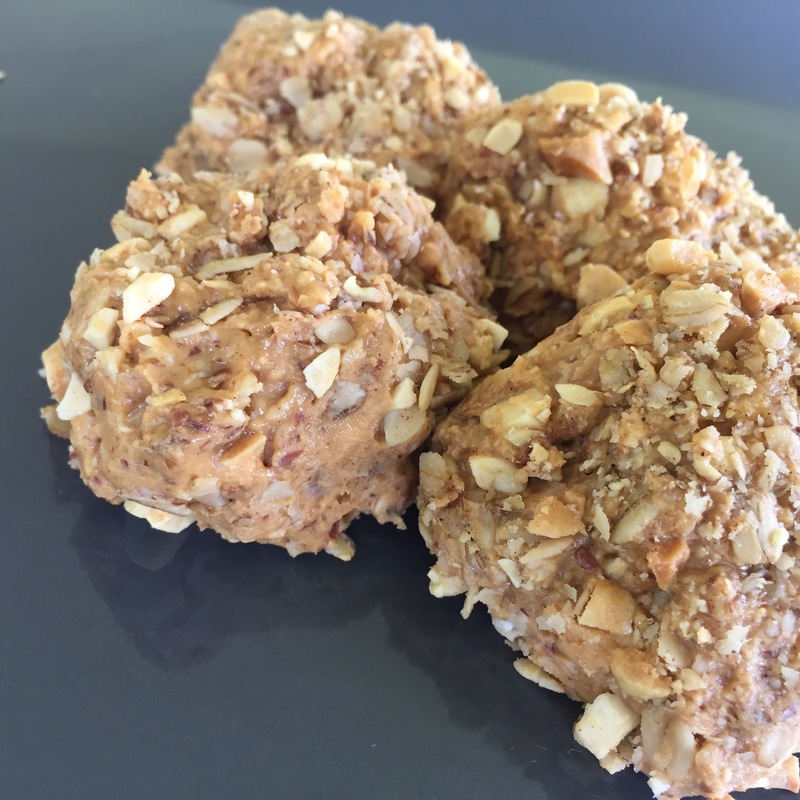 We made these peanut butter balls after having something similar given to us by some friends. You can vary the size depending on how hungry your partakers usually are. My crew seems to be bottomless pits, so we make our balls a bit bigger. I treated my Pilates ballerinas to these after my 4 days with them. They worked hard and deserved a reward, and it was the perfect fuel for them as they faced another 3 hours of dance after my class. Place peanut butter, honey, oats, coconut, and flax into a mixing bowl. Stir until well combined. Using your hands, roll dough into balls. Roll balls into the garnish of choice. These are pictured here with a mix of chopped peanuts and oats, but we’ve also used raw quinoa too. Be creative- even some orgainc cocoa powder with a dash of cinnamon would be delicious! Store in airtight container in refrigerator until ready to eat.